You are curenlty in Bard Medical Infection Control Urine Drainage Bag 2000ml, Sterile, Latex Free made by Bard and asigned to category. bard® Infection Control Urine Drainage Bag Has A Rounded, Teardrop Shape That Ensures More Efficient Drainage. The Bard Ez-Lok® Sampling Port Eliminates The Risk Of Needle Stick Injuries And Allows For Needle-Free Aspiration. Comes With Single Hook Hanger, Anti-Reflux Valve, Vented Drip Chamber And Urine Sample Port On Catheter Connector Tubing. You have selected Bard Medical Infection Control Urine Drainage Bag 2000ml, Sterile, Latex Free from Leg/drainage Bags. We hope that this Bard Medical Infection Control Urine Drainage Bag 2000ml, Sterile, Latex Free made by Bard is what you were looking for. If you have any questions about this particular Bard Medical Infection Control Urine Drainage Bag 2000ml, Sterile, Latex Free or any other products from Leg/drainage Bags, please call us. We have an experienced staff that will gladly help pick out the correct Bard Medical Infection Control Urine Drainage Bag 2000ml, Sterile, Latex Free for you, also. 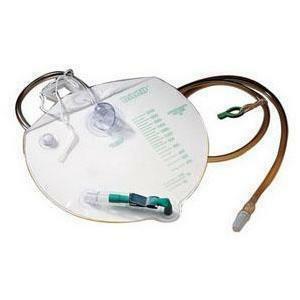 If you are looking to make a purchase of Bard Medical Infection Control Urine Drainage Bag 2000ml, Sterile, Latex Free in large quantity or you are a Hospital or Medical facility and need help on making a purchase of Bard Medical Infection Control Urine Drainage Bag 2000ml, Sterile, Latex Free made by Bard, please contact us.